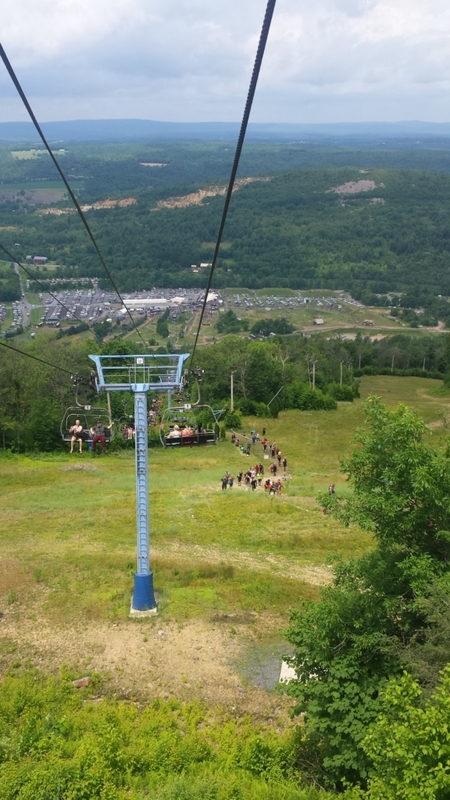 The 2017 Spartan Race U.S. Championship Series made a return to Blue Mountain Ski Area in Palmerton, Pa. Last year, this Super course received raved reviews from everyone as a very difficult race with a tremendous focus on the difficult inclines the mountain possesses. This year, I heard nothing but strong remarks from the many athletes I spoke to. This course didn't quite start out exactly as it did in 2016 with a massive black diamond climb. There was a very long climb to start, but the steepness was not that of 2016. 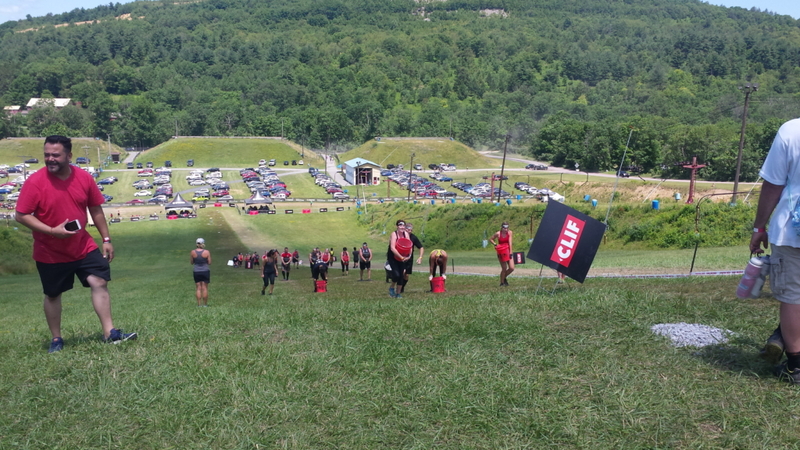 The course took Spartans up and down this mountain three times. There was almost no flat ground running on this course and most of the ascending and descending took place in the woods. There were some hard falls on the course from the sheer steepness of some of the downhill parts of the mountain. The first half of the course featured Olympus, Spear Throw, and the Multi Rig in a consecutive manner. For many Spartans, this could have been a quick 90 burpees in a quarter mile piece of the course. 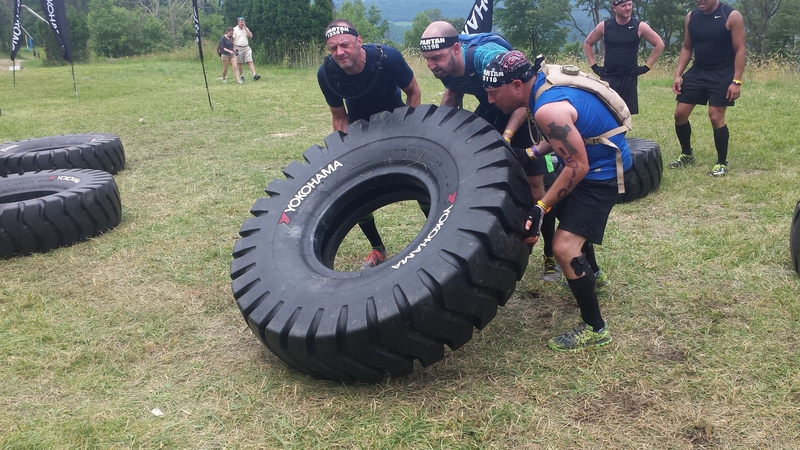 A brutal Sandbag carry and a giant tire flip were placed near the middle of the course. They had 2 different sized tires for men and women, and each tire needed to be flipped twice before completing the obstacle. I heard that the men's tire was 300 pounds with the women's around 200 lbs. When I took the chairlift up to this obstacle later in the day to watch, I saw several tires being tackled by not only 2 men but some with 3 men working to flip it. The end of the course featured Ape Hanger, a very long uphill and downhill Barb Wire Crawl and an even longer Bucket Brigade. The final challenging obstacle of the day was Twister. This normally difficult obstacle was only made worse by this course heavily taxing the upper body through the 8.5 miles prior. This was an awesome course and a very difficult challenge. There was a huge crowd on hand throughout the day which added to the great environment. Spartan had this course ready for the best athletes in the sport. The 2017 addition of Olympus and Twister along with Ape Hanger and the Giant Tire Flip really made this course a tremendous challenge on the upper body. I was satisfied to complete Olympus for the first time and it felt great to complete the tire obstacle. Spear Throw, Ape Hanger, and Twister earned me my burpees for the day. This course really does and fine job letting you know where you stand both physically and mentally.